How can I find a roommate who will understand my allergy? We ask a question on our roommate finder that you can use to look for possible roommates. As well as other questions to see if they would be a potential match for you. You can also request a specific roommate if you have one in mind. How do I disclose my allergy? If you do not require a housing accommodation but wish to consult with our registered Dieticians, please review the information on the MDining website. You can also tell us about your allergy on your pre-checkin forms, so your residence hall staff is aware of your allergy. How do I manage my allergy within the Dining Halls? If you have a food allergy or require a special diet, our Registered Dietitians can provide you with the resources and information needed to make healthy food choices in the dining halls. Contact them at eatsmart@umich.edu. How do I manage my allergy within the Residence Halls? Tell your RA and your roommate that you have a food allergy. Consider having some kind of emergency plan ready, such as the one by FARE. Also, consider a medical alert bracelet or other identifiers, several sources are noted on UM’s Weiser Food Allergy Center website. No matter where you are on campus, it is essential to keep your medication close by at all times. What if I have a reaction while I am at school? The most important proactive action you can take is to have a plan ahead of time. Think about the following locations and what you would do: in your residence hall, in a dining facility, exercising in one of the RecSports venues, at a sporting event (Michigan Stadium or Yost, for example), at an off-campus party close to campus. Each of these locations may have a different set of steps. 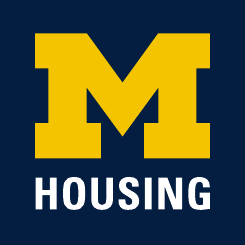 Living on campus means that help is only one call away- with Housing Security in every residential area, with the UM Police Department, with Ann Arbor EMS. Housing does not place food allergic students close to the hospital- we don’t want you walking to the Emergency Department (it’s a longer walk than you think! ), we want you to be escorted there in the event your case becomes more emergent. Regardless of where you live or where you are, don’t walk to the hospital! We have resources designed to get you to the hospital quickly. If the reaction is severe, call 9-1-1. Tell the dispatcher you are having an allergic reaction, name the food source and state where you are. Take your medications as prescribed. If the reaction is not severe, take medication as prescribed and determine whether you need medical attention. For non-emergency help, call Security at 763-1131 or contact the University Health Service Allergy Clinic. Michigan Dining offers information to address Allergies & Special Diets. Through Michigan Medicine's Mary H. Weiser Food Allergy Center, Adult and Pediatric clinical services are performed at the University of Michigan Food Allergy Clinic.The team of board-certified doctors, nurses and staff deliver the best quality care and clinical services available for food allergy patients and their families.